Resilience isn’t predetermined, and we can teach our children coping skills, writes the University of Melbourne’s Professor Erica Frydenberg. While there is no right or wrong way to cope, since the situation determines the best strategies that are available at the time, there are helpful and unhelpful ways to deal with the stresses of everyday life. In particular, we know that people matter, and that relationships and belonging are important protective factors that can help us cope with adversity. Having warm and secure relationships in childhood is a good predictor of close relationships when you are an adult. This is not just about having good parent-child relationships, but also about having a good relationship with at least one sibling. Mindset and a belief in your capacity to grow and change are also part of the coping process, as are grit and perseverance. Research is also showing us where our institutions need to invest more effort in helping young people cope. Children from high adversity backgrounds, for example, often have trouble learning from their mistakes. But using family-based interventions, neuroscience has shown patterns of brain activity can change. Other researchers have found that genetics matter, and that temperament in infancy is an important predictor of coping and adjustment in later years. But a child’s resilience is not predetermined – coping skills can be taught, and there are many factors that support their development. 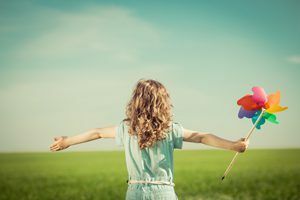 What was once considered to be intuitive learning through life experience can now be explicitly taught as coping skills, to equip young people for their social emotional journey through life. Advanced language and motor development skills are protective factors for children, so encourage language in young children through activities like conversations and word games. Motor skills can be developed through age-appropriate physical activities, including play and sport. Better reading and problem-solving abilities are also protective factors. We know that reading to young children and encouraging reading-related activities like visiting libraries or information gathering are helpful. Resilient boys tend to come from homes where there is structure and rules, so think about having sensible helpful rules for living together and communicate these along with expectations clearly. 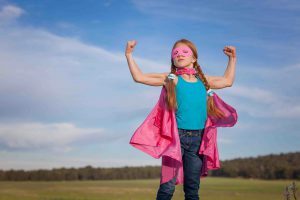 Resilient girls seem to emphasise independence and receive reliable support from caregivers, so consider offering opportunities for decision making and make it clear that support is available if required. 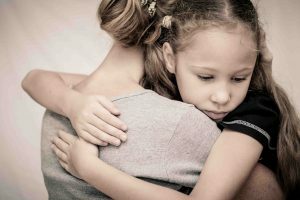 Asking the question, ‘how can I/we help?’ is one way of reassuring a child that support is available. The community also provides protective factors, including caring neighbours, mentors and youth leaders, so think about how your family can be involved in community activities like sporting and recreational pursuits that bring people together. Internet use can be addictive, and it can be a tool for cyberbullying, an experience noted by almost half of the adolescent population. Young people need to be taught how to use it in a healthy way. Good parent-child relationships are critical, so being an available good listener is important. Consider how your family enjoys celebrations and having family fun time. Remind each other of the events you have enjoyed together with photographs. Also, including family members in conversations when key decisions need to be made makes everyone feel valued and their opinions respected. Young children, even preschoolers, can start to learn coping skills by talking about situations they encountered and how they coped and other ways they may cope in future. Ideally, young adolescents will be taught coping skills, to equip them with a broad range of resources before the middle years of high school. Providing a booster in the latter stage of schooling in preparation for the more challenging and serious final examination period, and also for the successful transition to adulthood, is ideal. This could involve reviewing the helpful coping strategies that have been used to date and whether they are being used to deal with the challenges of the senior years of school. Time management and organisation skills become increasingly important at this age. The rates of depression among young people are on the rise, most likely because of a range of reasons, including greater awareness of depression and the challenges of contemporary life. It is difficult to predict what lies ahead from each year to the next. Nevertheless becoming increasingly aware of your own coping capabilities, both personal and the resources that you can call on, are very reassuring. The third edition of Professor Erica Frydenberg’s book, Adolescent Coping: Promoting Resilience and Wellbeing is out now, published by Routledge. Professor Frydenberg is Honorary Principal Fellow, Melbourne Graduate School of Education, University of Melbourne.